As we all know, people who play pirated games are evil criminals who will burn for all eternity in the fiery depths of hell. 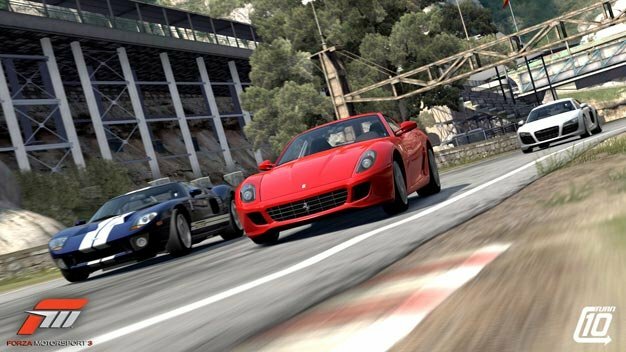 However, anyone who’s picked up an illegal copy of Forza Motorsport 3 and been brash/cocky/dumb enough to play it on Xbox Live before the game’s even released might be punished a little sooner. Stephen Toulouse, Director of Policy and Enforcement on Live, announced war on the pirates via his Twitter account late last night and if accounts are accurate, he’s living up to his promise. Some gamers have already reported having their accounts temporarily suspended or even permanently banned. If you’ve been affected by Microsoft’s vengeful finger of doom, leave a comment and let us know what punishment has been dished out.